Adding pumpkin puree or apple sauce to my year round baking adds both sweetness and health benefits. Pumpkin is packed with iron, vitamins A and E, and fiber. Apples are packed with vitamin C and fiber. Either choice is a win. Every fall from my CSA bounty, I make and freeze bags of pumpkin puree (see guide below) and apple sauce to use all year round. My pumpkin pancakes were a last minute fluke and definitely aren't from scratch. I take the basic Bisquick box recipe and tweak it to make it work with pumpkin puree. Since the puree or applesauce varies in consistency, I mix everything together and then determine if the batter needs additional bisquick mix. This recipe is very forgiving, which is why the amount of puree is flexible. Since I typically freeze my pumpkin puree in 2 cup batches, I use one batch at a time. But if I have already added some to a soup or different recipe, than the left over puree ends up in pancakes. + My 2010 guide to roasting neck pumpkins for year round pumpkin puree. 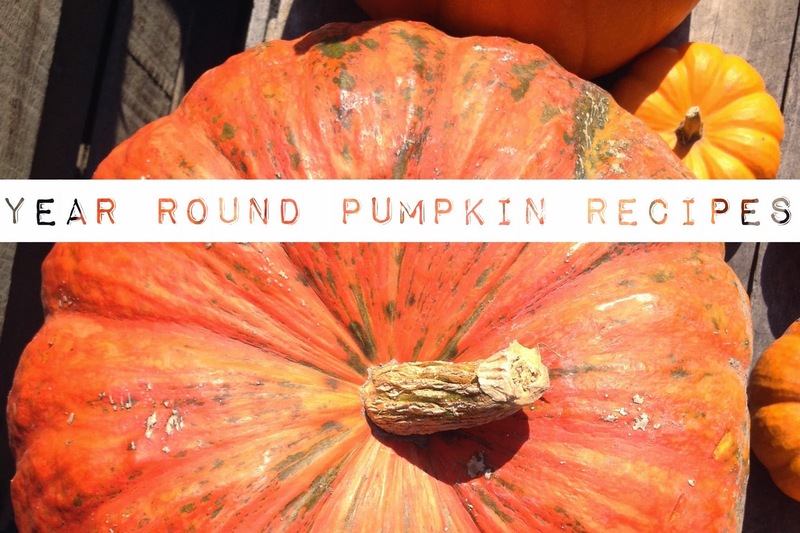 + Guide to squash and pumpkins, a handy guide for farmers markets. + My favorite Pumpkin Chocolate Chip Cookie recipe from Two Twenty One. I am working on a pumpkin bread and also pumpkin chili. Neither recipe is quite right, but I look forward to sharing when they are. What is your favorite way to incorporate pumpkin?